Aquamarine gets its name from the Latin words for "water" and "sea." Like the sea, this beryl gemstone varies in color from the palest blue-green to vivid azure blue. 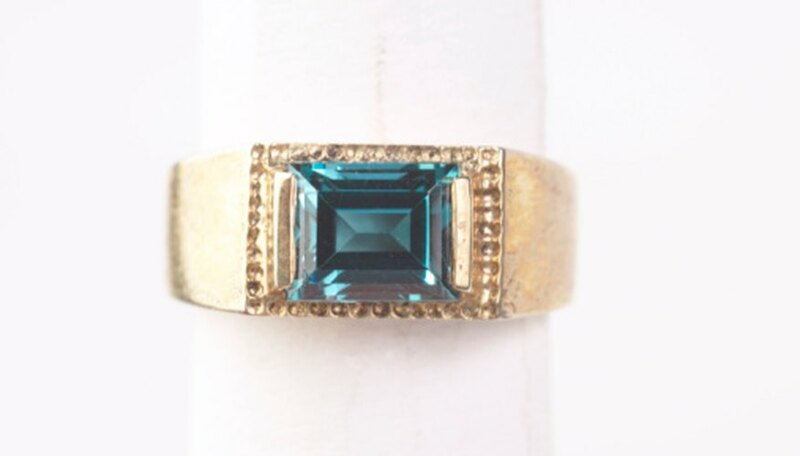 Aquamarine's value as a gem depends on four qualities: color, cut, clarity and carat weight. Collectors who plan to display the stone instead of wearing it have different standards; a stone with a colorful history or a unique shape fetches a high price from collectors. Examine the stone's color under natural light. While less expensive blue topaz superficially resembles aquamarine, it lacks any trace of the greenish hue that distinguishes genuine aquamarine. Test the stone with the diamond tester. Jewelers use this device to measure a stone's thermal conductivity; if the stone registers, it is most likely blue topaz, not aquamarine. Conduct a less precise test by holding the stone between your palms for a minute; genuine aquamarine conducts heat poorly and won't warm significantly from body heat. Examine the stone for nicks and scratches. Aquamarine has a hardness of 7.5 to 8 on the Mohs scale, while glass is a softer 6 on the scale. Use the jeweler's loupe to get a better view at ten times magnification. If the stone bears scratches, it's probably tinted glass and not aquamarine. Note the stone's shape. 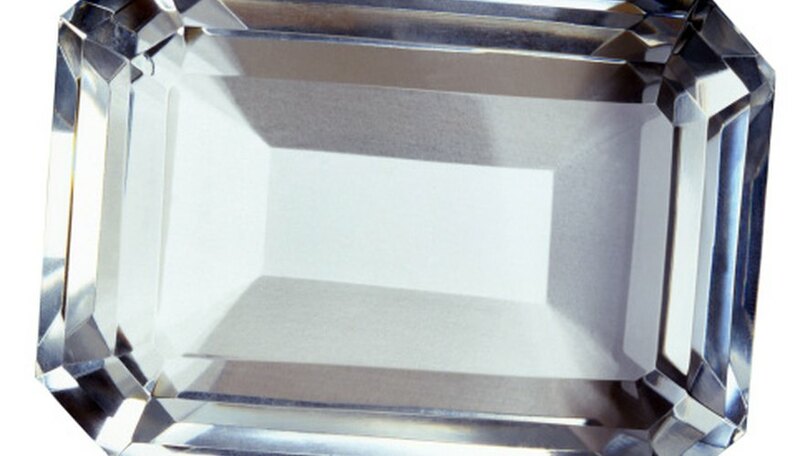 Popular gem shapes such as round, oval, marquise, emerald and pear are standard, but unusual cuts such as Asscher and cushion shapes can fetch a higher price. Very large display gems for collectors can have virtually any shape, but the best cuts are those that follow the crystal's natural lines. Look at the loose gem against white paper. The richer the color, the more costly the stone. The costliest aquamarines resemble the sea along a tropical white-sand beach. Examine the stone's clarity both with the naked eye and with the jeweler's loupe. 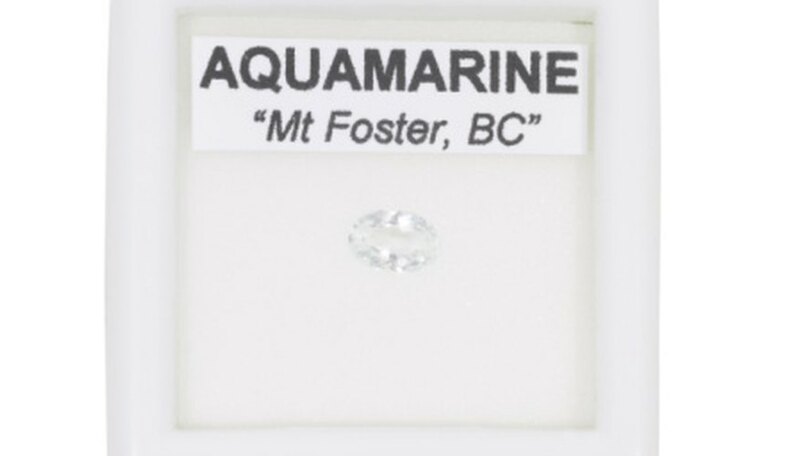 Aquamarines are typically clear to the unaided eye; a stone with visible inclusions or flaws loses value. If the aquamarine has inclusions visible only with the loupe, its cost is less affected. Weigh the stone on the jewelry scale. The aquamarine's cut, color and clarity set its price per carat; its weight in carats determines the gem's final value. Aquamarines are in the same gem family as emeralds, heliodor, and morganite. Aquamarine crystals can grow huge; unlike other gemstones that become exponentially more expensive as they get larger, aquamarine's price stays fairly constant for any weight larger than a carat. Some aquamarines are chatoyant -- that is, they show a cat's-eye formation when light strikes them. These are so rare that collectors will pay more than $10,000 per carat for them. Glass and aquamarine share the same refractive index of 1.52, so using a refractometer doesn't prove the gem's authenticity. If a deal on aquamarine sounds too good to be true, it probably is. Whitney, Lauren. "How to Value Aquamarine." Sciencing, https://sciencing.com/value-aquamarine-8122381.html. 25 April 2017.